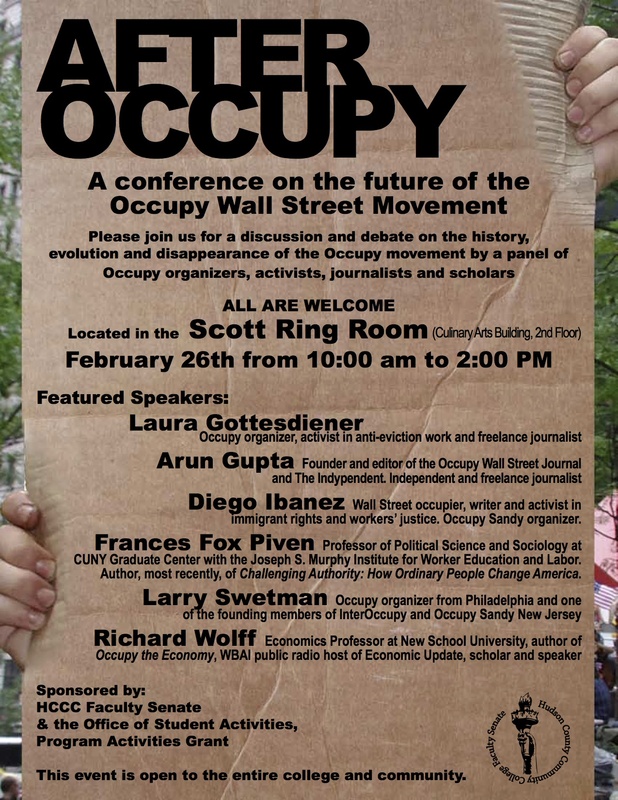 Tuesday, February 26, WNV editor Laura Gottesdiener is heading to the grand state of New Jersey to speak on a panel at Hudson County Community College about the future of Occupy Wall Street. 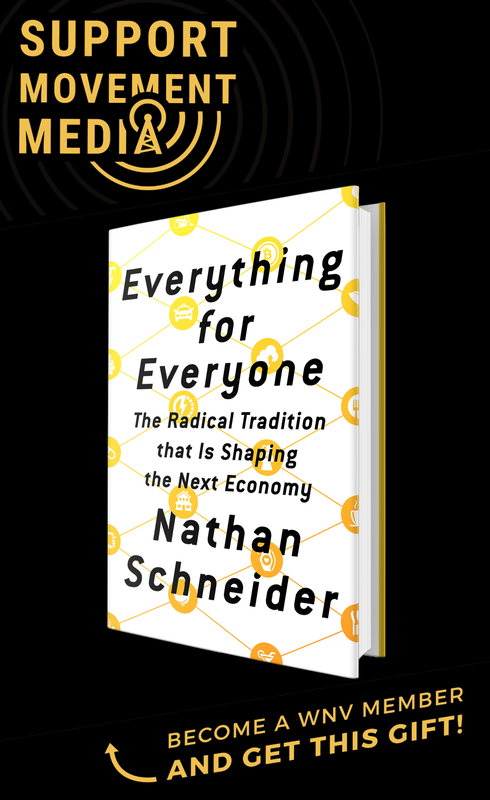 Other speakers include Frances Fox Piven of the CUNY Graduate Center, Arun Gupta of the Indypendent, Richard Wolff of the New School, Larry Swetman of Occupy Philadelphia and Diego Ibanez of Occupy Sandy (and “of everything,” he says). Come join us tomorrow from 10 am – 2 pm to discuss the future of Occupy. Wow New Jersey watch out. Was the Event streamed for those who couldn’t be there? I’m in London OCCUPY! Andria– it wasn’t streamed, I’m so sorry! There was a video of it though, so I will inquire where that might be. But stay tuned for upcoming WNV speaking events– Nathan and I are headed to Boston College March 18th! Thanks for your interest and with love from the other side of the Atlantic.